Freestanding or integrated full size 60cm dishwashers are equipped with the latest technologies and time saving programmes to make dishwashing easy and effective. All dishwashers in our range come with quick programmes that can wash a full load in just 30 minutes, perfect for when you’re in a hurry. 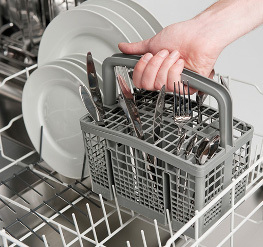 Beko dishwashers all have sliding cutlery baskets for flexible loading and some even come with an additional cutlery tray. How do I add salt and rinse aid? 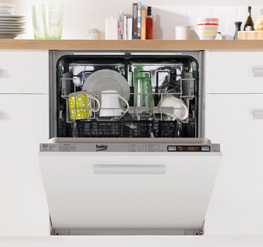 Where can I find the installation guide for my Beko dishwasher? Does the appliance need a hot or cold-water feed? Slimline or full size? Integrated or freestanding? Our guide can help give you quick answers to these questions and more, to make your life easier. 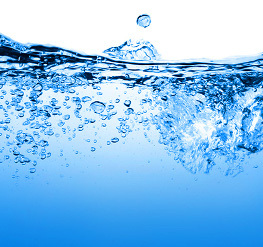 This international opportunity is the perfect time to ask how the world can become more efficient with water. 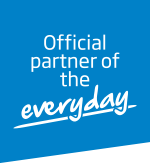 Take a look at how Beko can help. Life is busy enough without spending time doing the dishes. For a time-saving answer to help with your chores, check out our time saving dishwashers. Get the most out of your dishwasher and keep your tableware pristine with these 12 handy tips from Beko. We welcome customer reviews for all our freestanding dishwashers. We work alongside review collection platform Reevoo to gather your honest opinions and share genuine independent reviews of our products.